Synopsis: This new book is a classic study of Southwest Native American jewelry that documents the fascinating story of evolving designs and techniques from early traders and artists up to the present. The concise yet highly informative text accompanies over 500 color photographs of silver, turquoise, shell, and gold jewelry. Here is a chronological progression of Navajo, Zuni, Hopi, and Pueblo belts, buckles, bracelets, necklaces, men's jewelry, earrings, and pins from the late 19th century to the present. Classic styles are shown to have evolved as new materials, techniques, and uses developed. Many contemporary artists are showcased, bringing this important study right up to date. 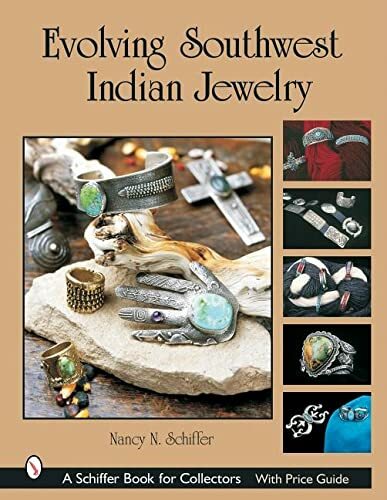 About the Author&colon; Nancy N. Schiffer has studied American Indian arts for over 25 years and finds the new jewelry styles fascinating.